If you are currently in the process of searching for a qualified preschool for your little one to attend, you may have experienced some roadblocks along the way. It is human nature to want the best for your child, and knowing that your child is in capable and competent hands while you are at work is just one of the many reasons why parents can become indecisive when deciding which preschool their youngster should attend. You may not know what questions you should be asking while touring prospective preschools, which is why we will be discussing some of the most important questions that you can ask when deciding which school to enroll your child in. 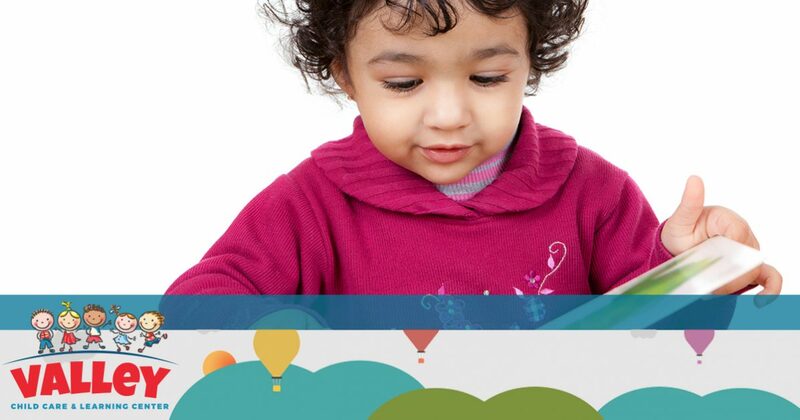 Since 1967, Valley Learning Centers has offered the top daycare and learning center services to children in Phoenix, Anthem, Glendale, Mirage, Chandler, and the surrounding areas of Arizona. We know that your child deserves specialized one-on-one attention which is why we have remained a family owned and operated childhood learning center for more than 50 years. We aim to foster every aspect of your child’s learning including social, cognitive, and emotional development, and exceed the early learning standards that have been put in place by the State of Arizona. If you are interested in the top list of questions that you should ask during your next preschool tour, continue reading more on the subject below! Preschool is where your child will develop skills that they will use for the rest of their life. As such, it is perfectly reasonable to ask prospective preschools about the qualifications of their teachers. Preschool teachers, at the very least, should have an early childhood education certificate, as well as some sort of higher education schooling. It is also important to take into account how long the teachers in question have been with the preschool. If the preschool you are inquiring about is staffed completely by new hires, there may be cause for concern as this could indicate that there is a high turnover rate, indicating a systemic problem within the administration. At Valley Learning Centers, however, all of our head directors have been with our child care and learning centers for more than 10 years, and have devoted a lifetime’s work to ensure that children in Arizona are receiving the highest quality of education possible. How Safe Is Your Facility? Safety should be towards the top of a parent’s list of questions to ask when looking for a qualified preschool for their child to attend. It is an inherent quality for parents to worry when leaving their child with someone else, and for good reason. You can never be too sure about your child’s safety, especially where health risks are concerned. There are many questions you should consider when asking about the safety of a preschool. For starters, it is always a good idea to ask if the staff members at the preschool in question are first aid and CPR certified. Children can sometimes have the tendency to choke on foods and other objects that can present themselves as choking hazards. This is why every staff member at Valley Learning Centers is trained in administering first aid and CPR, if needed. Other questions regarding smoke alarms, video monitoring of classrooms, and employee background checks are imperative questions that you should never glaze over when touring a preschool. At Valley Learning Center, we fingerprint and run Child Protective Services background checks for every one of our employees, including our maintenance staff as well as our teachers and directors. We take extra precautions to ensure that your child’s safety is our top priority. How Do You Discipline Children? Everyone handles conflict differently, including adults! You know what your child responds to best, which is why you should always ask the preschool in question how they deal with disciplining children. You might not want your child to try and resolve their conflicts without proper facilitating from a qualified professional, especially if tensions between two children have significantly escalated. Knowing the conflict resolution styles of the preschool’s teachers beforehand will help you make an easier decision when it comes time to enroll your child in preschool. What Is Your Preschool’s Educational Philosophy? Believe it or not, there are a number of educational philosophies that preschools use around the world. Studying each philosophy before touring a preschool will help to make your decision much easier while deciding the best school for your youngster. Montessori, Waldorf, Reggio Emilia, and project-based are just a few of the educational philosophies taught in preschool, and all involve different levels of creative problem solving, critical thinking, and hands-on learning. Fortunately, Valley Learning Center outlines our entire curriculum that can be found conveniently on our website. What Does the Classroom Look Like? Learning about the preschool that your child will be spending a significant portion of their day at can help to relieve any stress or uncertainty that you may be experiencing. Consider asking the preschool in question about the number of teachers in each classroom, whether or not the school is sectioned off by age, and how large each classroom is. Finding a preschool with a limited class size can help your child receive the attention they require while they develop both socially and intellectually. How Often Do the Students Nap? Growing children require much more sleep throughout the day when compared to adults. Failing to allow children to nap at some point during the day could lead to a cranky child that would love nothing more than to sleep. In fact, according to the Sleep Foundation, it is recommended that preschoolers receive at least 10 to 13 hours of sleep each day. We understand that growing children need an adequate amount of rest, which is why Valley Learning Centers allocates at least two hours each day to nap time. If you are still having trouble finding comfort in the information you receive from your child’s potential preschool, why not ask current parents what they think of the preschool staff? Requesting a list of parent references is a great way to get a deeper look into how a preschool operates from day to day. 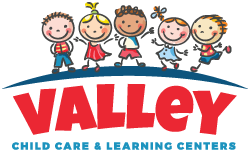 Valley Learning Centers knows that you want the best possible facility and staff monitoring your child, that’s why all of our parent testimonials can be found by browsing through any of our preschool locations! How Nutritious Is Your Preschool’s Food? Nutrition is one of the most important aspects for growing children. Not only does proper nutrition help children grow into strong, healthy adolescents, it can also help where cognitive development is concerned. Asking your child’s potential preschool about the importance of nutrition is a great way to get a feel for what your child will be eating daily. As part of our continued commitment to our parents and their children, Valley Learning Centers highlights the importance of healthy eating on our nutrition page. You can even view one of our sample menus for more information! We hope that you find these tips useful when deciding which preschool is best for addressing your child’s needs. If you have any additional questions or concerns, or would like more information about Valley Learning Centers’ curriculum or teaching staff, don’t hesitate to contact one of our friendly staff members today!